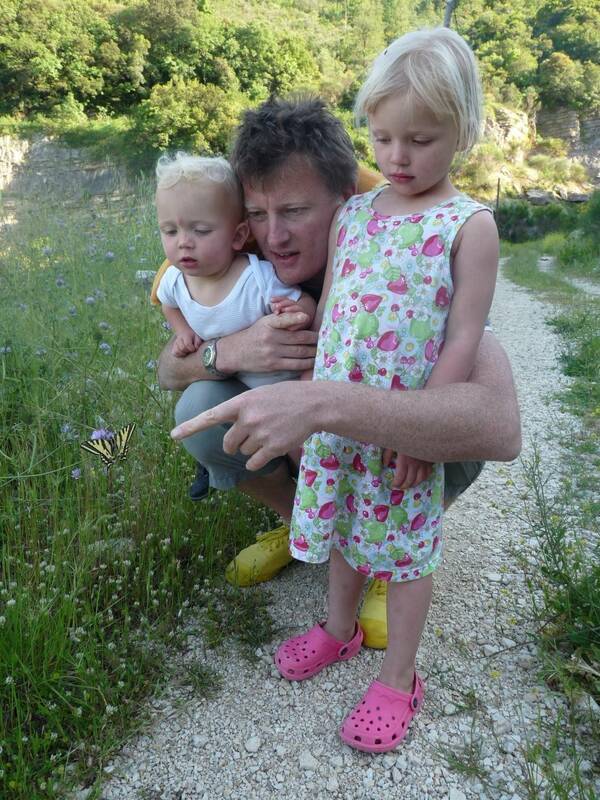 Benedict Allen is an inspirational parent in the truest sense of the term. He has achieved things that most people couldn’t even dream of. His incredible answers to my mundane questions really made me stop in my tracks. I no longer set off on really hazardous adventures- though I’ve been an explorer most of my life. Even as a child I was determined to be some sort of “pioneer” – my dad was a test pilot and it seemed perfectly natural to have that ambition. So all the way through school I was thinking of ways of “getting out there” to exciting places like Borneo or New Guinea – and pretty well all my adult life was about preparing for an expedition, doing one or recovering from one! Then, one day out in the pack ice of the Bering Strait, I lost my dog team and supplies in a blizzard – and (not for the first time) found myself facing death. As it happens, I did find my dogs – and managed to get out safe and sound, with them. But I decided there and then I’d stop doing dangerous things – I’d “got away with it” for 30 years and it was time to settle down. And this I did; and now I have two little children – another about to arrive. I pine for adventure at times, but generally I’m content to nurture my young children (Natalya 8, Freddie 5) and foster their dreams. I have a shed at the end of the garden and surround myself with bits and pieces from my ventures – bows and arrows, saddles, drums, survival gear – and try to foster a spirit of enquiry in my children. We climb trees, build dens… they don’t seem to need much encouragement! Thus far, I haven’t had much wanderlust – for me it was never about travel, more about understanding the remote world and testing myself to the limit. Nor have I felt restless or bored, without all the stimulation I used to have when fighting for survival – because actually my expeditions involved being months alone in villages, learning things from remote people before setting off alone through the “wilds”. The biggest challenge has been providing for my family – I’ve no real qualifications, except as a writer, and how to survive in the jungle, desert or Arctic! Crossing the Amazon Basin at its widest took me seven and a half months – I was shot at by Pablo Escobar’s men, elsewhere robbed and left to die, and had to walk a hundred or so miles out of the forest alone. But actually this or any other so-called “feat” seems rather irrelevant in the modern era, when these habitats are being destroyed left, right and centre. Same with crossing the Gobi desert alone, or being the first person up the Namib. These journeys are wonderful personal challenges but I’m not keen on adventurers claiming “firsts” – I’m more proud if someone writes in saying their little daughter has been inspired to be an explorer by a book I’ve written- or maybe, say, someone’s been encouraged through illness by an experience I’d had coping alone in the rainforest. We are all explorers, that’s the point – we all face challenges in life. Usually it’s people; two goldminers who chased me with knives on my first Amazon expedition, when just 22 – I jumped into a canoe to escape, and this capsized. I had to walk out of the forest alone and with malaria. Then Pablo Escobar – he was on the run himself. Then the robbery by two loggers – they ran off with all my kit and I ended up living off piranhas for weeks on end. But the truth is, each one of these predicaments were in a sense of my own choosing. I wanted to be an explorer, and as someone who travels alone and without backup I should accept the consequences. Far harder was a Christmas Day in 1994, when my mum died of cancer – and my dad left heart broken. She was the rock who kept us all going as a family – and suddenly she was gone. My dad – not just because as a child it was amazing seeing him fly a Vulcan bomber over our house – but because he was a good and very sweet man. A real gentleman – a man of integrity, someone of moral stature to attempt to copy in life. I’ve love to say a few encouraging words to a few great explorers in peril – Sir Walter Raleigh lost in the Orinoco Delta, Captain Robert Scott as he lay dying in his tent near the South Pole – but I’ll be honest and tell you I’d most of all just like to whisper a sentence of comfort to my mother. She felt she was letting us all down by dying early, and I’d have loved her to know that I survived my strange predilection (as it must have seemed) for danger, and came out the other side to have children to cherish of my own. My choice is life enhancing – and therefore life changing; I’d like a protective shield over our rainforests please. Also, a sucker gadget that would draw the plastic bags, bottles and fragments out of our oceans. It’s the sort of thing my little boy Freddie would try to knock-up with his Lego – we need it in action NOW though; I fear children of his age won’t have much of a world left to explore otherwise. Thanks! I’ll go with my wife to a restaurant around the corner, in Twickenham. We won’t drink – because she’s any moment about to go into labour, and I might have to drive. No doubt we’ll talk about what to call the forthcoming baby, who’s a girl. Maybe she should have an explorer’s name: Freya (Stark)? Mary (Kingsley)? Emilia (Earhart)? You certainly find amazing folk to interview 🙂 Beating the internet by finding a celeb I’ve heard of. I waved and smiled at Ben Law last weekend (the guy who built himself a house in the woods on grand designs a few years back) but was too shy to say hello so a career in interviewing maybe not for me! Wow wow wow. Been looking forward to this. And where on earth am I meant to pick something out to comment on? Just wow! Fabulous interview. Reading comments above – I also waved at Ben Law (I’m guessing at the same event as other Maz, but last year in our case as I didn’t see him this year, apparently we also missed Rag and Bone Man). I love the line ‘family first or not at all’.